Now you can get orthodontic treatment done without anyone noticing thanks to clear aligners from Invisalign. 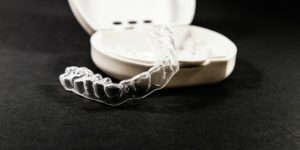 While clear aligners are designed to be transparent, it doesn’t mean you won’t need to clean them regularly. Food particles and bacteria can easily gather and form plaque on your clear aligners, affecting their appearance. That’s why your Chesterfield dentist wanted to provide you a few tips to keep them clean and transparent during your treatment. Keeping them clear is easy once you know the steps. Keep reading to learn how today! 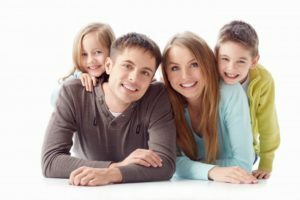 Your Family Dentist in Chesterfield Warmly Welcomes You! We’re so glad you decided to stop by our website to check us out! These days, it seems like dentists are a dime a dozen, and finding one who cares for your needs with the skill and compassion you deserve isn’t always an easy task. That’s why we’ve built our site and our blog; you can get to know us and learn what we’re all about before you schedule your first appointment. We hope that you’ll make us your family dentist in Chesterfield! Comments Off on Your Family Dentist in Chesterfield Warmly Welcomes You! According to a study reviewed in the New York Times, medical doctors interrupt patients describing their symptoms after a mere 18 seconds. Thankfully this situation is much different in a dental office! When you get your checkup and cleaning you have a full hour to talk with your hygienist and dentist in Chesterfield. They can spend much more time than an MD discussing your oral health and understanding your concerns. 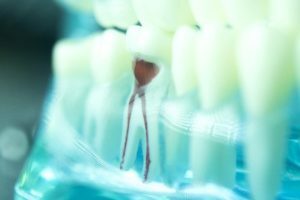 In particular, since your hygienist has spent so much time with you at each visit they have a unique perspective on the health of your gums. That puts them in a great position to answer any questions you have and work with you on your hygiene habits. But what should you ask? In this blog, we’ll give you some examples of questions to ask so that your checkups are as valuable as possible.